You have several options to reach Lake Como by train: it all depends on the town you would like to visit. If you look at the map below, you immediately understand how it works – the train routes correspond roughly to the red lines – but I will try to help you as much as I can. Whatever route you choose, I highly recommend you to download the Trenord app (for Android and iOS) that will allow you plan your journey and purchase tickets in advance. TRAVELING TO COMO OR ANOTHER TOWN OF THE WESTERN BRANCH? Read this guide if you’re traveling to Como, Cernobbio, Argegno, Nesso, Tremezzina, Menaggio or other towns of the western area. TRAVELING TO LECCO OR ANOTHER TOWN OF THE EASTERN BRANCH? Jump to this section if you’re traveling to Lecco, Varenna, Abbadia Lariana, Dervio, Colico or other towns of the eastern side. Click here if you’re traveling to Bellagio or to the nearby towns (Nesso, Lezzeno, Oliveto Lario, etc.). On the western branch of the lake, the city of Como is the only one to have train stations. Como S. Giovanni and Como Nord Lago are the two main stations: both are very close to the city center and connect Como to Milan in about one hour. Outside the stations you will find bus and taxi services, so you can easily reach your accomodation. 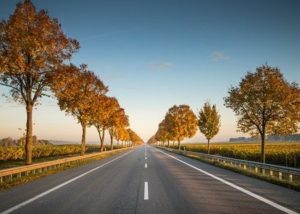 If you are traveling to other towns of the western branch and do not want to move by taxi, you will have to continue your journey by bus or by boat. 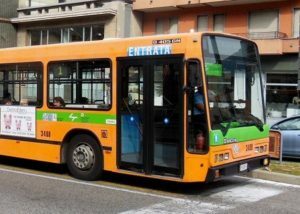 If you’re traveling to a town on the left side (Cernobbio, Argegno, Tremezzina and Menaggio, among others), take the C10 bus which stops right out of the stations “Como S. Giovanni” and “Como Nord Lago”. The bus will take you to Cernobbio in 10 minutes, to Argegno in 40′ and to Tremezzina in 50′. If you’re traveling to a town on the right side (Faggeto, Pognana Lario or Nesso), take the C30 bus just out of the two main train stations. This bus will also take you to Bellagio in 1 hour and 10 minutes. In case you’re traveling to Como by train and want to reach a town on the western branch of Lake Como, you can make the most out of your experience and travel by boat. Getting around by boat is a good idea, especially if you want to reach one of the furthest destinations from Como: Tremezzina, Menaggio, etc. If you choose this option, I suggest you to arrive by train at the Como Nord Lago station, just 5 minutes walk from the pier which is located in Piazza Cavour. Do you want someone to plan your trip for you? Traveling by train to the eastern branch of Lake Como is much easier. There is indeed a train route that starts from Milan and passes through Lecco, Abbadia Lariana, Varenna, Colico and some other towns on the eastern side of the lake. For this reason, if you are in Milan and want to reach Lake Como by train, this branch offers a lot of choices. Also, Lecco (40′ by train from Milan) is an important interchange point for those who are traveling to Oliveto Lario or Bellagio: just out of the station, you will find a bus that will take you to the Pearl of Lake Como in 45′. 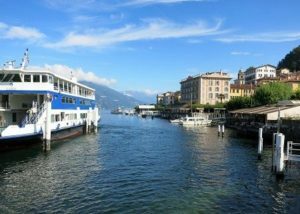 There are no train stations in Bellagio: if you move by public transport and want to reach Bellagio, then you can get there by bus or by boat. From Como: if you’re traveling to Como by train, then you just have to take the C30 line from Como S. Giovanni station or just out of the Como Nord Lago station. 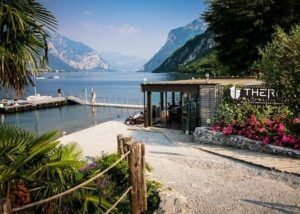 The bus will take you to Bellagio in 1 hour and 10 minutes and passes through other amazing and typical towns (such as Torno, Faggeto Lario, Nesso and Lezzeno). 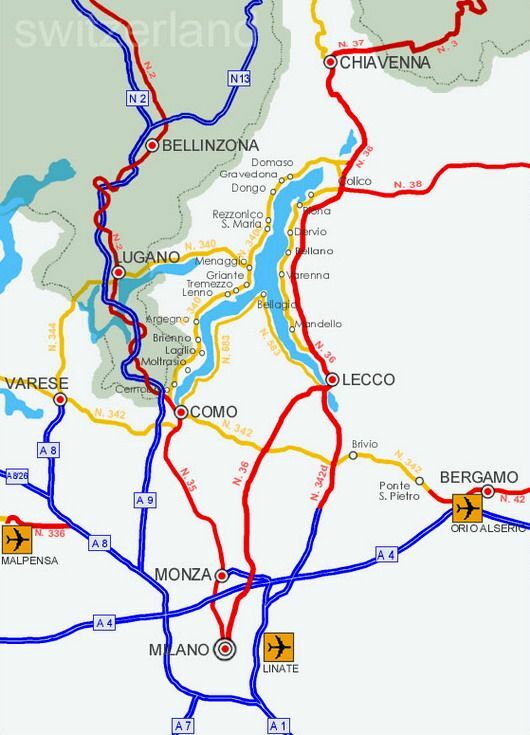 From Lecco: if you’re traveling to Lecco by train, go out of the station and take the Lecco-Bellagio line that will take you to Bellagio in 45 minutes. This route also passes through Oliveto Lario, Limonta and some other small towns. You can reach Bellagio by boat from most of the towns around Lake Como. Consider that boat trips are slower and, obviously, more expensive. If you’re traveling from Milan to Bellagio and prefer this option, I’d suggest you to get off at Como Nord Lago and reach the pier which is located in Piazza Cavour, Como (a 5 minute walk from the train station). The cool thing is that Bellagio is right in the middle of Lake Como, and is probably the best place to go if you want to visit more towns during your holidays. For this reason, if you are in Bellagio and want to visit Varenna or Tremezzina, just head to the pier, buy your ticket and reach the destination you want!